As the global launch time of GrandChase comes close, we are confident that a fascinating and engaging story is waiting for us, as in the original release. Another thing we know is that the new game will continue the original story almost without any interruption. If you didn’t play the first game, you might find it difficult to understand what’s going on. This guide has been prepared to bring you up to speed: Below, you can find the story of the game and the history of the saga, and learn everything you’ve been wondering about GrandChase before the game is released. March 2008: English version of the game is released. December 2009: GGP publishes the first mobile port of the game. This version was called “GrandChase Lite”. April 2015: All servers of GrandChase are shut down. Since it was an MMO, it was no longer possible to play the game. 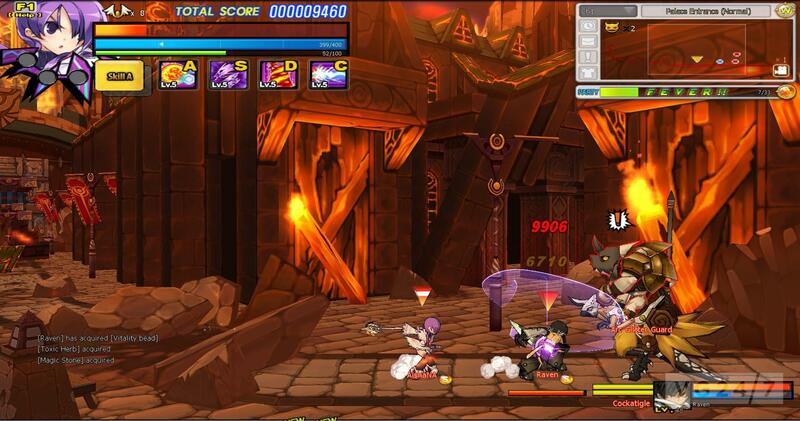 KOG Studios started working on another game called Elsword. 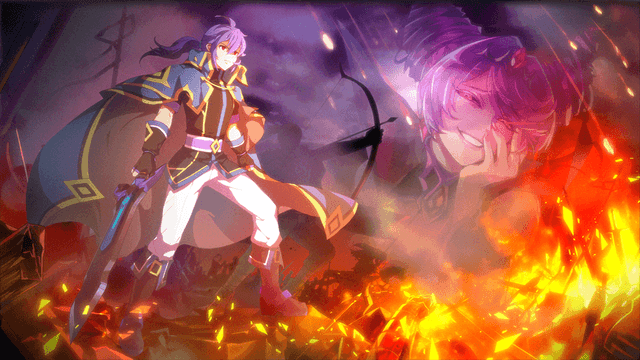 July 2015: Da Vinci Games releases another mobile port called “GrandChase M”. In August 2018, the servers of this version were also shut down. September 2017: The closed beta of GrandChase Dimensional Chaser started. January 2018: Korean version of GrandChase Dimensional Chaser was released. A few months later, special versions for the Philippines and Japan were also released. Now: The new version of GrandChase is about to be published globally. In the beginning, there was just a cosmic being called “Creator”. The Creator created devils, and gods and goddesses. But he did not want the devils to live in the same universe as the gods: For this reason, he created a world called Aernas for the living, and another called Elyos for the dead and the demons. 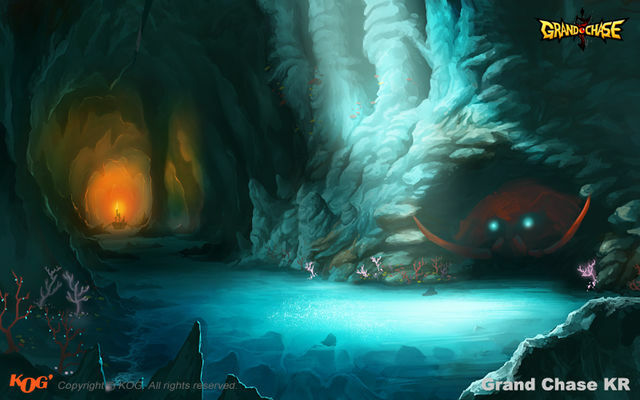 The demons and the dead who lived in Elyos were to be known as “Asmodians”. Ernasis, the goddess of war, Lisnar, the goddess of mercy, and Amenias, the goddess of wisdom came to Aernas. Humans, elves, and dwarves were already living here. Goddesses helped them to create a civilization called “Kounat”. All humanoid races started to live together in Kounat. 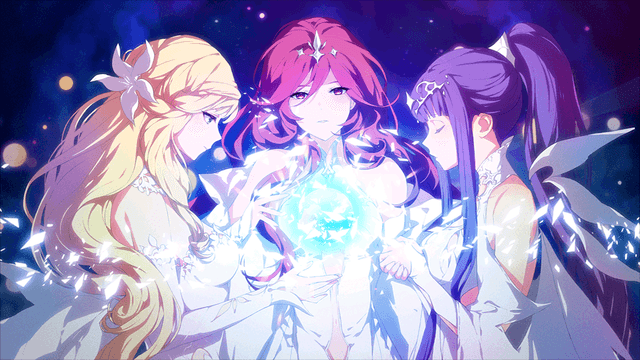 The goddesses left Aernas to wander the universe after creating a “perfect world”. 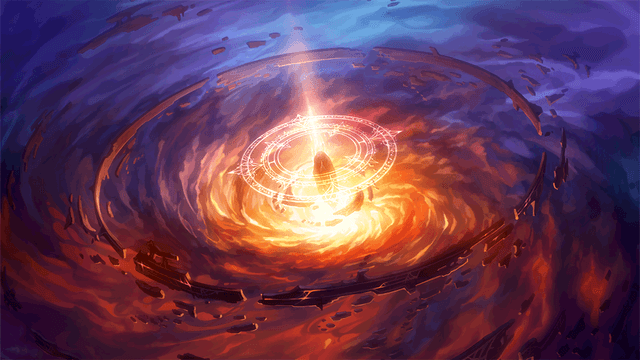 The Asmodians in Elyos began to attack Kounat through dimensional gates. The Kounat people managed to use the power of the goddesses with a weapon called “Aernas Hammer”, and repelled the Asmodian attack. This event was to be known as “First Magic War”. Centuries passed. The rulers of Kounat decided to investigate and use the power of the unyielding goddesses in the event of another Asmodian attack. But the power corrupted them. Aernas Hammer exploded with incredible force when used by these corrupted beings. The blast completely destroyed Kounat. The surviving humanoid races gathered in the cities of Kanavan and Serdin. Elves, dwarves, and humans started to live in different places. But the “evil” in humanoid races was already awakened. Centuries passed, once more. This was a very chaotic period for Aernas, and there were frequent wars between the kingdoms. The biggest of these battles came between Kanavan and Serdin. In reality, the cause of the war was the evil plans of a sorceress named Kaze’aze. Kaze’aze caused two kingdoms to enter a war with lies and false information. 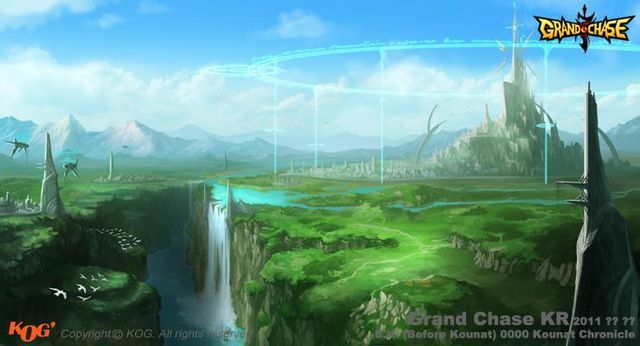 A special group of adventurers, called “Grand Chase”, was created to hunt down Kaze’aze and stop the war before it’s too late. The group pursued the wizard in all Aernas and experienced countless adventures. Some group members were separated, some betrayed each other. …And, the original story ends here. For a long time, we wondered what had happened to the first GrandChase group that continued their adventures on Elyos. In a short time, we’ll be able to learn what actually happened to them. Now, you’re ready for GrandChase’s global release, and you know how the story begins: Join us to learn how it ends!